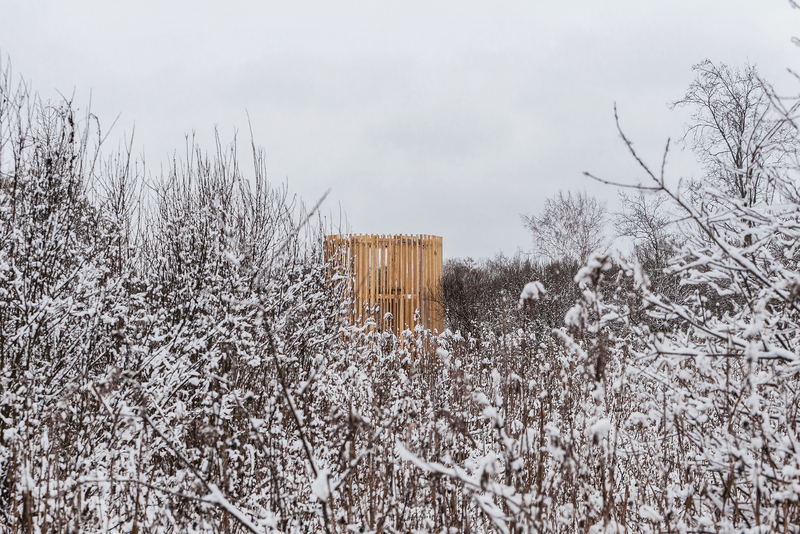 Design studio Bog Hut is part of a collaboration series with the Estonian Forest Management Centre (RMK). 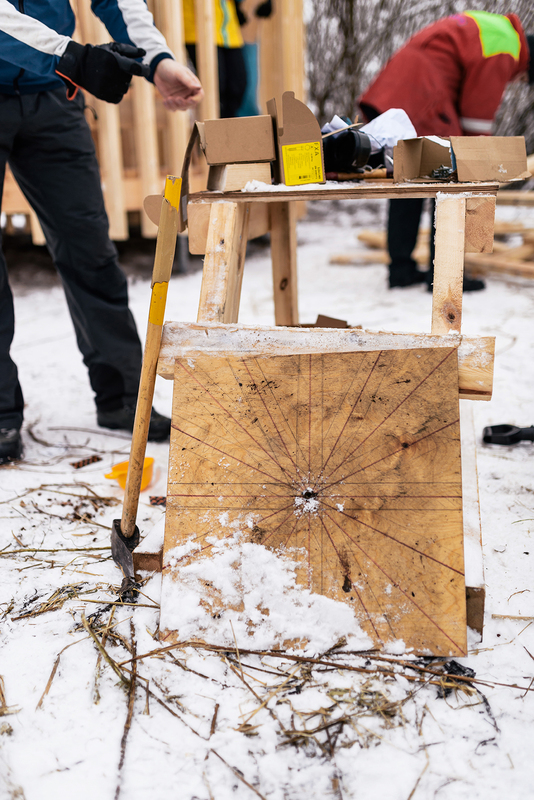 The aim of the design studio series is to enrich Estonian state-run forest infrastructure with innovative and unexpected design by Estonian Academy of Arts interior architecture students. The project for the first year students was inspired by the site. 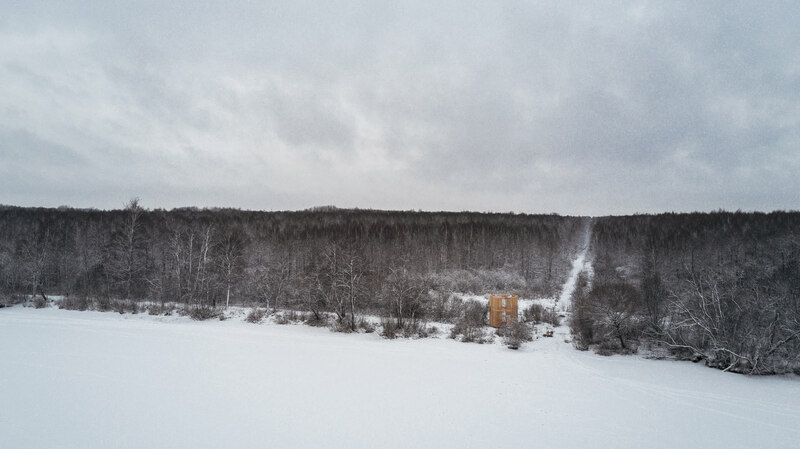 The location for the hut – on the edge of protected wetland Emajõe-Suursoo and next to the only fully navigable river in Estonia – inspired the idea to create a resting stop for hikers coming from a long day trip on the bog or providing boat riders with a reason to stop while going up and down the river. 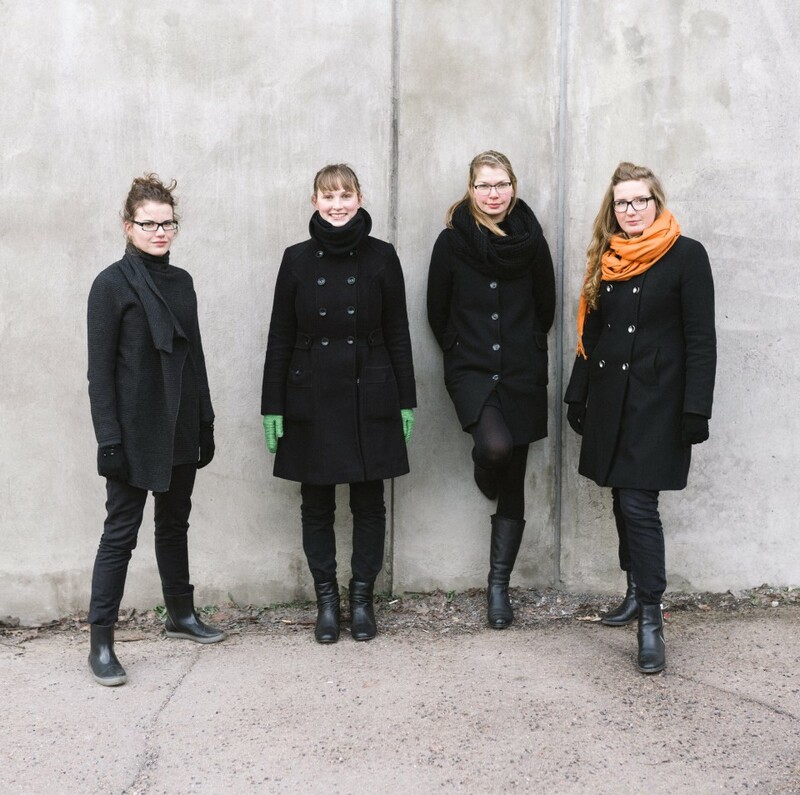 The design process was divided into four parts. We stared with lectures that were combined with abstract exercises to express different topics for example minimal space, relationship to natural phenomenas and body in space. The second part was individual design process starting with an abstract notion or feeling about the site and functions and developing the idea gradually more and more into precise building. Third part was groupwork to prepare the selected shelter idea for construction and final part was building in the woodworkshop and on site. During several months, the selected design proposal went through a series of changes to better fill the original brief. 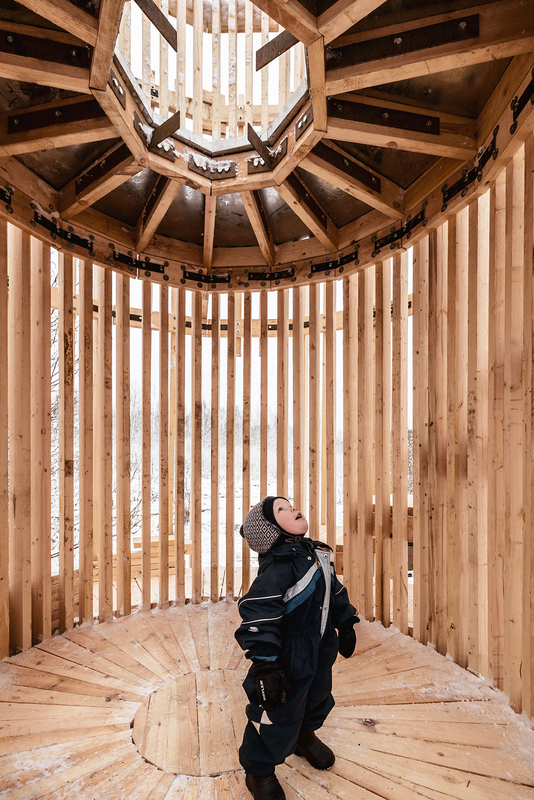 The hut was installed at Emajõe Suursoo Bog during winter – in bogs and wetlands, all construction is traditionally done during the cold period when the ground is frozen, to preserve the delicate soil. 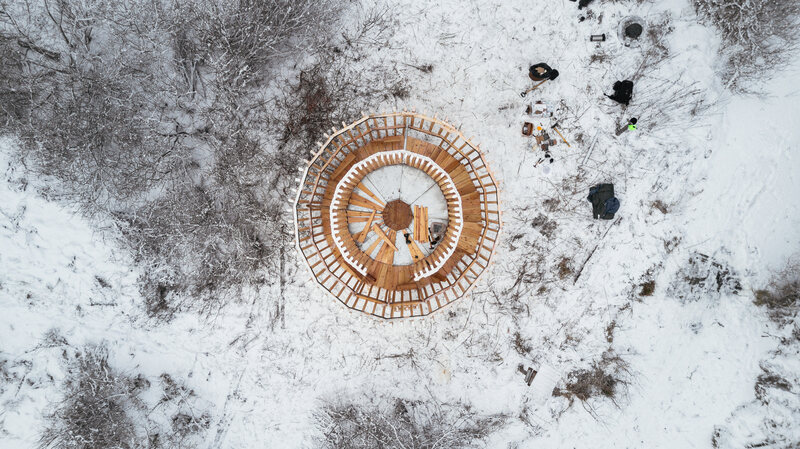 VARI (a play of words: it means both ‘shadow’ and ‘cover’ in Estonian) provides the hiker with a play of light and shadow that is created by the double layer exterior and a fireplace to warm themselves on top of the shade. It is also a place to dry your feet in the springtime when Emajõgi River floods the whole area. As the fireplace is located on the second floor of the hut, under clear sky, it might work at nighttime as a lighthouse for the boats on the river. 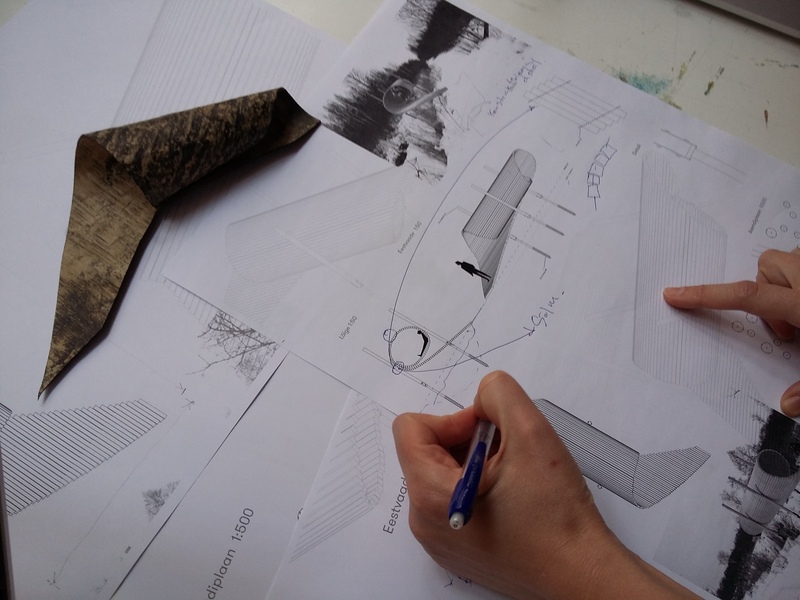 The whole process gave students a unique experience of developing idea into design and dealing with construction, project management, working out problems and finding suitable solutions. Construction supervisors: Avo Tragel and Marko Aron.